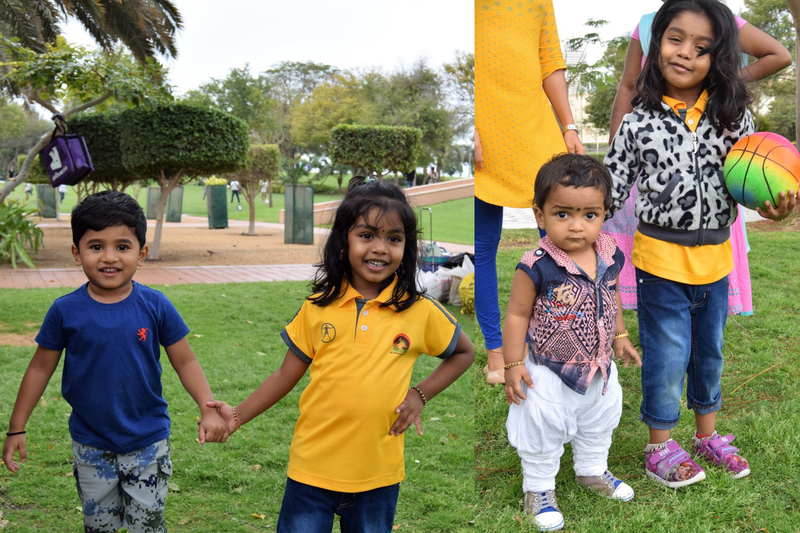 Dubai: ‘Tulu Paterga Tulu Oripaga Dubai’ celebrated its 7th year’s ‘Gauji Gammat’ program ‘Gobbuleda Lace’ in a grand manner on Friday the 15th March, 2019 at Zabeel Park in Dubai. Organiser Shobitha Prem Jeet welcomed the guests in Tulu Nadu traditional way with jaggery and water. 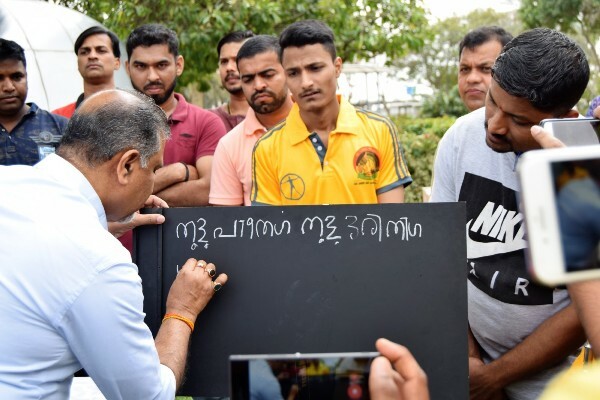 Well known businessman Prabhakar Shetty inaugurated the sports activities by writing in Tulu script, "Tulu Paterga Tulu Oripaga and Gauji Gammatt 2019. Later Prabhakar requested everybody to take active interest in learning the Tulu Script and explore this to all our Tuluvas so that we can save our mother tongue for the future. The main guests include Nama Tuluveru Dubai's Chief Ajmal, Mogaveers Balkrishna Salian, Tulunada Rakshana Vedike’s, Dubai President Ashok Bailoor, Billavas Dubai's Satish Poojary, Karnataka Sangha, Dubai, President Anand Bailur, BiruverKudla Dubai's Suresh Poojary and Tulu Film Actress Navyata Rai who participated and congratulated the organiserson the event. Various types of Tulu sports viz., Kabbadi, Lagori, Tug of war, Bicycle wheel racing, Movie quiz game etc., were played in four teams ‘Kudla, Udupi, Barkoor and Kasaragod’. The Sports activities were ably conducted by Noel Almeida and Amar Nantur. All the teams played sportingly, especially the topics of marriage, school, farm, fair were mind blowing. Supriya Shetty conducted games for women and children. Every one enjoyed all the games thoroughly. Even though there were slight rain drizzling throughout; there were more than 300 members sportingly taking part in all the activities and enjoying the gloomy weather. Laterone of the well-known couple Anand Salian and Usha Anand Salian along with social worker Noel Almeida were felicitated and bestowed with ‘Appe Bashe Tulava Tudar’ title. Sumptuous buffet lunch with some of the special savory from Tulu Nadu, Kukkuda Chutney, Kadaley Balyar, Nungel Nang fried, Padengisolaipayasa were all served in traditional disposable leaf trays. In the evening tea was served with Pova. All those contributed to the success of the programme were honoured with mementos and the winners were also honored with an Award, Certificate and Medal. Presence of active membersof various teams, SatishUllal, Satish Poojary, Kaviraj Kunder, Manoj Kulal, ShobitaPremJeet, Ashwini Satish, Deepak Sanil, Premshree, BhaskarAnchan, PurandaraKulal, Pavan Shetty, Naveen Sarapadi, RavindraPoojary, Suraj, Pratik Ullal and Gurudut Belchada collectively resulted in success of the program. Ritu Anchan Kulshekara the General Secretary of ‘Tulu Paterga Tulu Oripaga’ conducted the programme, read out the achievements of the Group and rendered the vote of thanks.